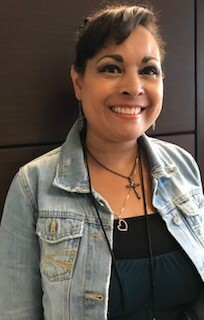 Damaris Jurado is one of our amazing Matrix Head Start Family Advocates. Each of our Head Start families has a Family Advocate to help them navigate a path to achieving personal goals for themselves, their children and their families. One of Damaris Jurado’s assigned families is, Yolando, a mother of three. Yolando received a ticket for not having her four-year-old child in a car seat, impeding traffic, and not having proof of insurance. This parent also had a fine for not paying the ticket on time with an amount due of more than $700! Damaris accompanied Yolando to her court date and also served as her English/Spanish translator. Prior to court, Damaris arranged for the mother to receive a car seat with instructions on how to safely install the seat, and drafted a letter for the judge, signed by our Matrix Deputy Director stating that the family received these services. The outcome? Yolando’s court and ticket fees were reduced to $195 and she was granted the ability to make payments on these fines! Damaris has also assisted Yolando’s family with many other basic needs to help her family achieve stability and success including food, diapers, wipes, and child support assistance. Yolanda is very grateful to have Damaris as her partner helping her and her family to achieve their goals.